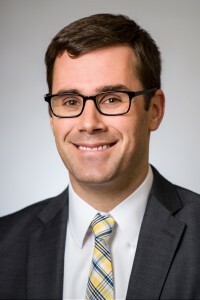 Patrick Arndt is a Partner at Nall & Miller, practicing in the areas of Transportation & Trucking Litigation, Product Liability, Healthcare Law, Construction Litigation, and Governmental & Constitutional Litigation. Patrick has tried several jury and bench trials to successful conclusions. Patrick also has substantial mediation and motions practice experience. Prior to associating with Nall & Miller, Patrick was a founding partner of Perez Arndt, LLC, a construction litigation firm in Decatur, Georgia. During his time at Perez Arndt, Patrick also won an appeal in a Fair Housing Act case, which is published at Bailey v. Stonecrest Condominium Association, Inc., 303 Ga.App. 484 (2010).